While I’m a big fan of Gillen’s writing and Vader has often surpassed Jason Aaron’s Star Wars series over the past year, I met this news with a certain amount of relief. In the world of comics, especially from Marvel and DC, a creator getting to tell the entire story they set out to tell—and then, maybe just as importantly, actually ending the series at that moment—isn’t as common as you might think. So knowing that Gillen was allowed to wrap things up in a way that doesn’t just tee up a new creative team a month later is a big sign that Marvel’s Star Wars line is being handled in a healthy way, and makes me more excited to see where they go from here. Almost exactly a year ago, in my piece Portrait of the Editor as an Old Man, I offered my hopes for just this eventuality; that “in the event that readers tire of the ongoing Darth Vader or Kanan series, […] they’ll move on to other characters rather than relaunch.” That both series reached what seem like natural endpoints (though Greg Weisman has been pretty open about wanting to do more) rather than wearing out their welcome is actually an even better turn of events than I anticipated; indeed, both Darth Vader and Star Wars have been consistent power players on the top-ten comics lists as long as they’ve been around, which makes it all the more remarkable that Marvel didn’t decide to keep going with or without Gillen attached. 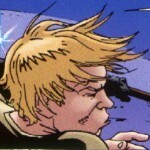 In another old piece of mine, I bemoaned the prevalence in the Expanded Universe—and continuing into the new canon with Heir to the Jedi—of “Luke/Han/Leia go on a mission” novels that may or may not be fun stories, but don’t really leave an impression on the characters or the overarching plot (I also mentioned that the comics “could be another article entirely”, and lo and behold, here it is!). To the extent there’s still an appetite for those stories, and for those stories to be canon, I think Aaron’s Star Wars remains the perfect place for them; with three years to fill before Empire, and with Vader ending, there’s no pressure at all for that series to progress at any particular speed, so as long as they’re conscious of the characters’ gradual development into their later selves they could easily keep doing what they’re doing for several years of real time to come. While I personally prefer series like Vader whose art stays consistent indefinitely, Star Wars’ rotating roster definitely contributes to a breezy anthology feel that works well for those kind of “continuing adventures” stories. And if Aaron himself ever decides to move on, well, what better excuse could you ask for to do a time jump to after Empire, or even after Return of the Jedi? So where does that leave the rest of the Star Wars line? As you might expect now that The Force Awakens is out, Darth Vader‘s conclusion suggests a way forward that’s much less tethered to the original trilogy era and characters. Luke’s squad may remain the franchise’s bread and butter (for now), but already we’ve got the excellent Poe Dameron ongoing from Charles Soule and Phil Noto, which has the potential (though I kinda doubt it) to be the first story to go past TFA in the timeline—it’d be hard to get more attention than that. 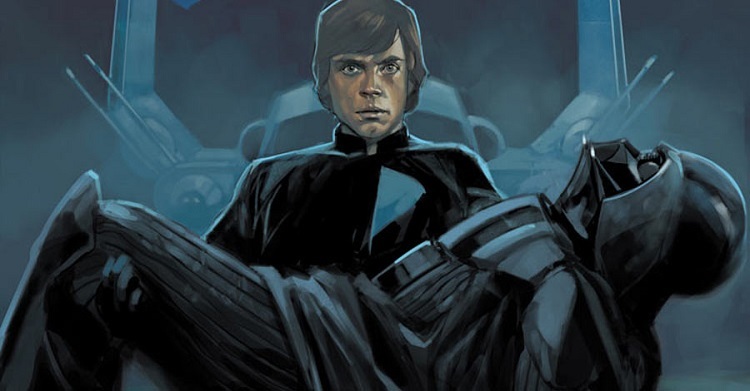 When the time comes to replace Vader, they may even counterprogram and do a new ongoing in the prequel era, picking up where the Obi-Wan and Anakin miniseries left off, or even adapting the planned end of The Clone Wars and leading into Revenge of the Sith. Coming up next week I’ll be asking the others here at ETE to pitch new ongoing series they’d like to see; there’s no shortage of options, but what I hope is that they’ll follow Darth Vader‘s—and Story Group’s—lead and think “where’s a strong story that should be told?” rather than just filling a hole for its own sake or looking for the most marketable character. And once that story is concluded, they should continue to move on. This strategy works well with Marvel’s existing methods because it only demands a year or two from a given creative team; one of the big selling points of this line has always been Marvel’s ability to bring comics’ top talent to bear, and not forcing someone like Gillen to commit to years and years of a series (or worse, diluting the impact of their work with lesser talent once they leave) is a great way to sweeten the deal. In my perfect world, in fact, the whole thing would start with the creators—Marvel would go to someone like Marjorie Liu, writer of the forthcoming Han Solo mini, and say “here are the keys to Star Wars, what would you like to do with it?” Who knows; maybe that is what happens, and Gillen actually chose Darth Vader himself, but I expect not. At least not in those early months. Allowing Gillen to end Darth Vader his way was a great show of respect for him as a writer, but it’s also a great thing for us Star Wars fans. It strikes a perfect balance between stability and stagnation; not cutting series off at the knees because double-digit issue numbers are scary, but also not making ever-greater sacrifices of quality to keep pushing out a steady stream of books with Vader’s face on them. And from a continuity standpoint, it advances Story Group’s interest in fresh, vital material that builds off of and contributes to the larger story without weighing it down. As someone who’s been reading Marvel comics more than half his life, nothing is more refreshing than to see them recognize when enough is enough. Nah they’ll just restart it in a couple months post-Empire and sell more #1s. I’m sure you’ve got good points but nope. No no no no no no no no nope. IF APHRA DIES BECAUSE THIS BOOK ENDS, IT WILL BE ALL YOUR FAULT. Also they never ran my Kylo letters so what’s even the point. That’s a bad comment and you should feel bad for it. They pretty much stopped doing letters altogether around that time so I can’t be too sad about it. I may have to do one last super-dramatic response to the ending though. 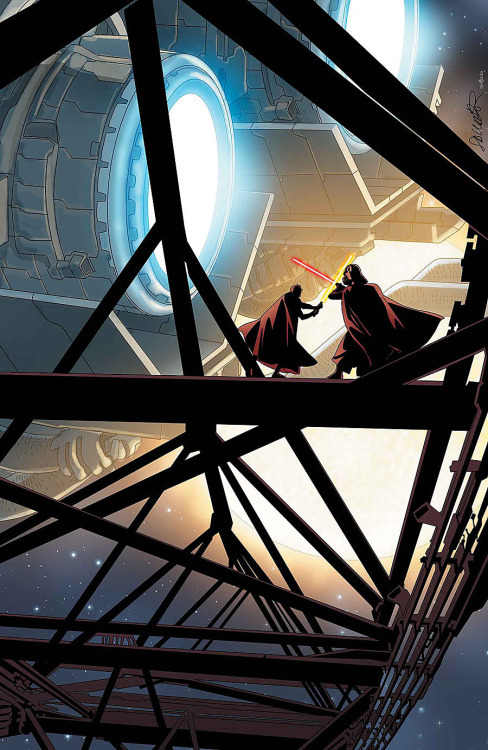 I also very much like that we’ll end up with a complete story, and so don’t mind that Vader ends at issue 25. 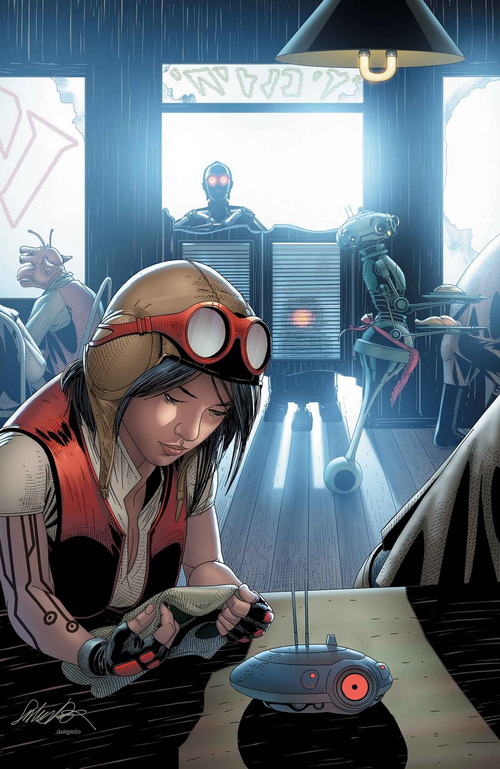 I would be bummed if Aphra doesn’t survive past this series though. Looking forward to everyone’s ideas for future series.